The Karibu Garden was created in 2010 through a generous donation from Alliance Bank. For the past five years, the garden space has been tended to by New American families from the Democratic Republic of Congo, Burundi, and Rwanda. They work together and harvest together. All of the produce is shared amongst all the members. For the past three years, they have grown primarily two types of Amaranth, called Lenga Lenga in Swahili. Other vegetables they have grown in the past include: Squash, tomatoes, potatoes, carrots, and corn. All of the gardeners were farmers in their homeland, and enjoy having the opportunity to work the land alongside each other. 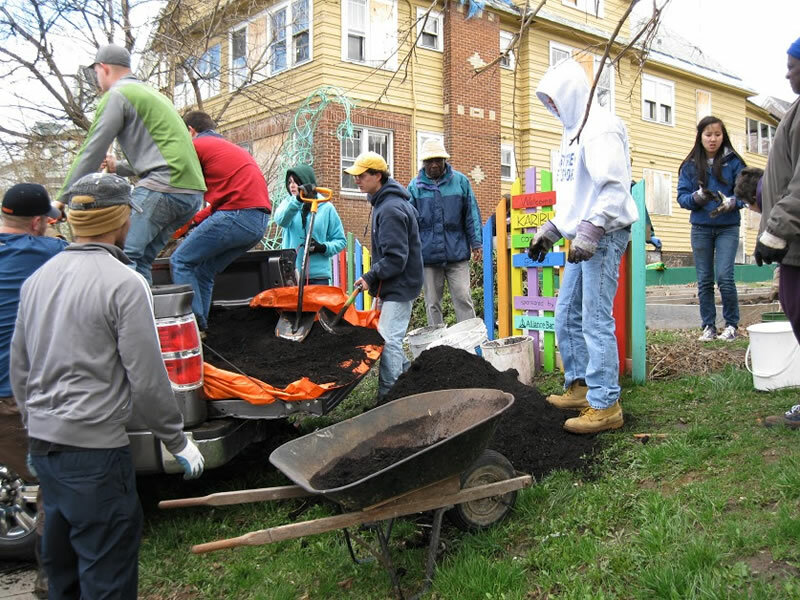 In 2013, Syracuse Grows applied for and received a grant from the Fiskar Foundation. This grant was used to expand the Karibu Garden across the street to another vacant lot. That garden was called the New Roots Garden, and it is tended to by the same New American families from the Karibu Garden. If you are interested in learning more about the Karibu Garden, please contact their garden buddy, Rozlynn Jakes-Johnson.